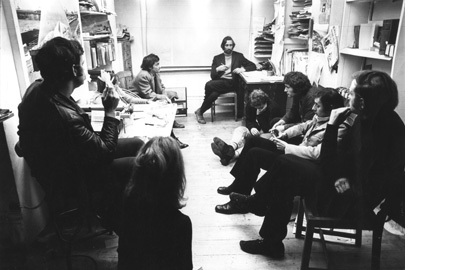 Artist Placement Group (APG) was conceived by Barbara Steveni in London in 1965, and established a year later by Steveni and founding artists Barry Flanagan, David Hall, John Latham, Anna Ridley, and Jeffrey Shaw, among others. 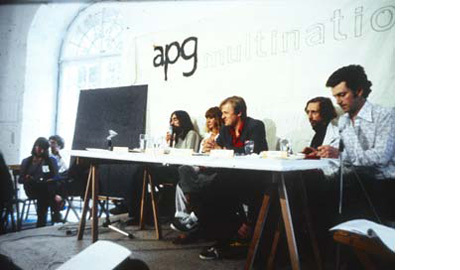 Between 1966 and the mid-1980s, APG negotiated approximately twenty placements on behalf of artists in industry and government. Unlike most residency schemes that have emerged in its wake, APG artists were not required to produce any determinable object as a result of her or his placement. The goal was not to put the artist at the service of industry or government, but to allow her or him to act upon a given situation outside of the studio and the art market, in an environment usually perceived as alien to intuitive, creative thinking. As APG’s axiom put it: ‘Context is half the work’. 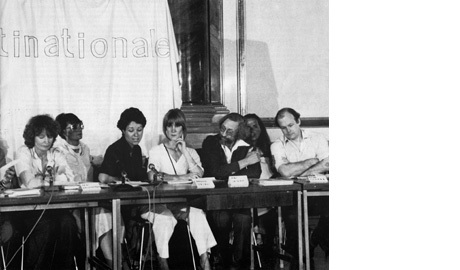 It was understood that the benefits of the placement, for the artist as well as for the host organisation, would most likely be felt over the long term, affecting both parties in ways difficult, if not impossible to quantify. In the short term, signing on to APG’s open brief represented a considerable gamble on the part of organisations having to justify any investment perceived as ‘risky’. The APG display at Artefact features facsimiles of correspondence between APG and potential host organisations, most of which did not lead to an actual placement. These are selected from the Tate Archive and Steveni’s personal papers. Together they constitute a ‘hidden’ history of APG – which may well be its most accurate, given its emphasis on process and language over object-production. But the display is not merely historical: it points to the effort required – today as much as in the 1960s and 1970s – to convince the private and public sectors of the intangible and unpredictable value of an artist’s insight. Special thanks to Antony Hudek, Barbara Steveni, Tate Archive & Raven Row. An extensive exhibition on APG will be presented by Raven Row in London in September 2012.